Seventeenth Question: Was Peter an ecumenical pontiff and the head of the church and the vicar of Christ? We deny against the Romanists. I mentioned previously that question 16 was indirectly about papal primacy, but with question 17 we embark upon a series of questions that address that issue directly. 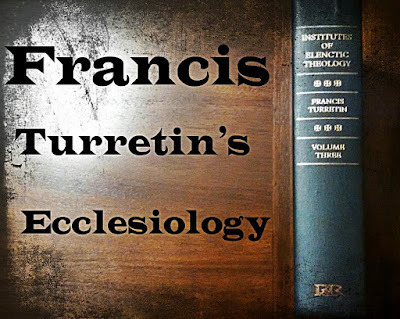 As you no doubt gleaned from what you’ve learned about Turretin thus far, as well as from his posing of the question above, things are unlikely to go well for il Papa. 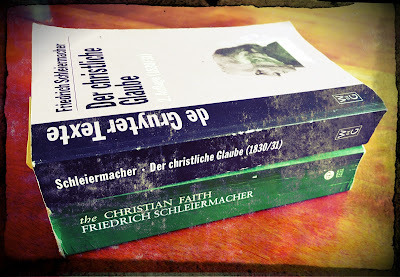 In my last post post, I talked about my preferred approach to relating the introductory sections (§§1-31) of Schleiermacher’s The Christian Faith to his concrete theological claims later in the book. 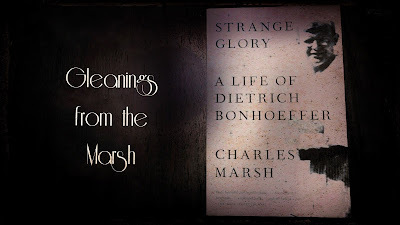 A great advantage of my approach is that it offers a better way to understand how Schleiermacher meant his method and dogmatic particulars to relate. In other words, this approach makes Schleiermacher’s method more understandable. 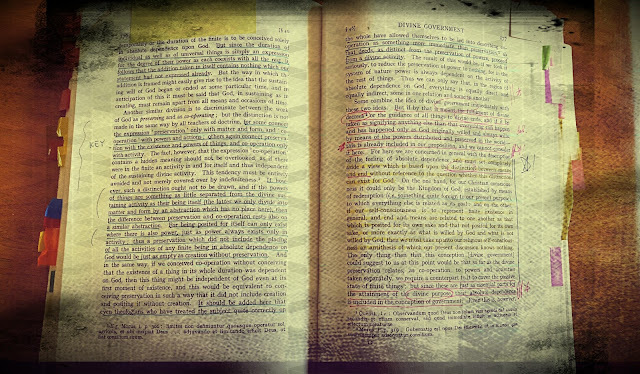 In this post, I want to stick with the theme of Schleiermacher’s introductory sections. This time, however, I want to say something about the why of Schleiermacher’s introductory sections. I am convinced that we don’t really understand what Schleiermacher is up to unless we understand his motives. In this post, I will say something about one motive in particular: the search for an adequate authority. Long-time DET readers know that I have a soft spot for Calvin. My posting will inexorably circle back to him if given enough time. 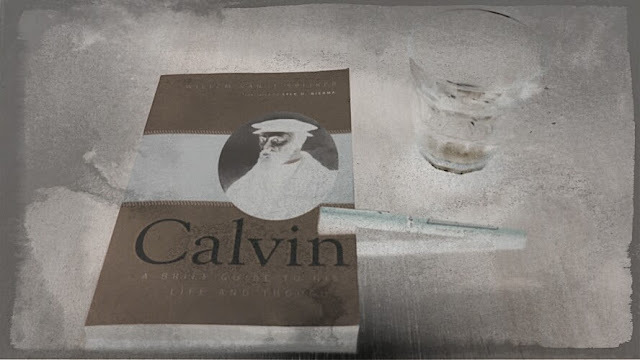 This is one of those times because I’ve been reading Willem van’t Spijker’s Calvin: A Brief Guide to his Life and Thought (WJK, 2009). This is one of a slew of books that were published about Calvin to mark the 500th anniversary of his birth. Generally I wouldn’t pick up such an introductory volume at this point in my Calvin-reading career, but I hoped this one would provide a glimpse at the state of Calvin scholarship in Europe in general and the Netherlands in particular. It’s hard to know whether that’s what I received, but I will say that the various European languages are well represented in the bibliography. Furthermore, I discovered that Spijker has an effortless way of bringing in a great deal of historical detail that I had not encountered in such an economical, summary fashion before. Anyone who has read the first one-hundred or so pages of The Christian Faith knows that it is rough going. While all of Schleiermacher’s writings are sophisticated, and so difficult, the introductory sections (§§1-31) of that work might be the most taxing. This is a problem. Many, or even most, courses on Schleiermacher only read the introduction (along with the Speeches and some other works). This can make studying Schleiermacher frustrating, and so discourage folks from reading further into the meat of his thought. This heavy emphasis on Schleiermacher’s introduction also implies, or at least suggests, that Schleiermacher’s work is, first and foremost, driven by method, by a set of rules or procedures; that what Schleiermacher did was come up with these rules and then, like a computer program, let them run. If so, his readers should repeat the process to really understand him. And that means getting his method right first. Just what are the "principalities and powers" that play a piovtal role in the New Testament writings, particularly in the Pauline corpus? Are these concepts simply arcane and outmoded notions from an ancient worldview? Or do they speak to our times and situations in a particularly accute way? These are questions that have preoccupied me for some time. At long last, I'm beginning to give some closer attention to the works of the French social thinker and theologian Jacques Ellul (1912-1994), whose multifaceted, interdisciplinary corpus had much to say on these questions. To that end, I've been working through Marva Dawn's fine collection of early essays from this major 20th century dialectical thinker. This is a post that I’ve been meaning to write for a while. It draws especially on the wonderful 2-volume work by Rainer Albertz, A History of Israelite Religion in the Old Testament Period (WJK, 1994). 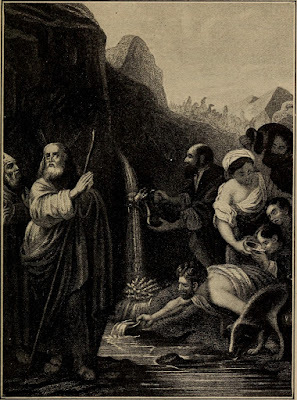 I posted about this book once before: Amos, Micah, and Isaiah – A word much needed again today. Albertz gives a wonderful overview, helping us to peek behind the curtain at the historical development and social contexts that produced the Hebrew Bible / Old Testament / Tanakh. And in so doing, he brings a great deal of clarity to the texts’s political commitments. The context for what I want to talk about here is the first half or so of the Persian or Second Temple period, after some of those who had been exiled to Babylon return to Judea. It was the aristocracy that was exiled; the average Israelite Joseph and Miriam were left to continue scratching out a living. Now some of those aristocrats are back, and everyone finds themselves under Persian rule. So, what happens? In laying out his typology of diverse Christian viewpoints on the fate of the evangelized, James E. Sanders numbers Friedrich Schleiermacher, often called the "father of modern theology," among those renegades in the West who affirm universal salvation. By Sanders' definition, the universalist claims that everyone, the unevangelized included, will be "saved" in the end -- ergo, "that all human beings will ultimately be reconciled to God, that none will be eternally damned" (p. 81). This passage gave me pause: Is that really an apropos way to characterize the radically revisionist soteriology of the 19th century Berlin theologian? As we shall see, nothing with Schleiermacher ever is that simple. Sixteenth Question: Should the government of the church be monarchial? We deny against the Romanists. Turretin begins his discussion of this question by offering a structural reflection: he notes that, thus far, his treatment of ecclesiology has been organized around the distinction between the internal and external aspects of the church. 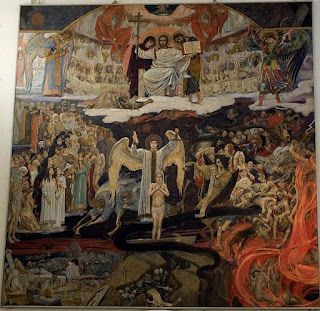 Now, we’re told, we move on to a third aspect – the church’s government. It’s actually been considerably longer than a fortnight since the last link post back in the middle of March. Mea maxima culpa, gentle reader. We’ve been quite busy here at DET during that time, so it isn’t as though you haven’t had plenty to read. The first list of links below demonstrates that very clearly. If you missed any of them along the way, now is your time to catch up! But, there have been some other comings and goings and doings in the theoblogosphere that I want to highlight before getting to the lists.